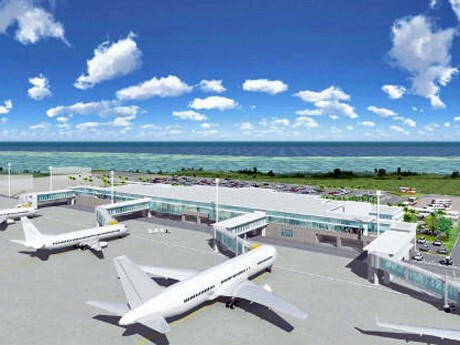 The New Ishigaki Airport and terminal is ready to start business. It’s a project that has taken decades to accomplish, but the new Ishigaki Airport will open for business on March 7th. The new airport, first planned in 1976 and after conservationists and environmental groups opposed off-shore runway plans in the late 1990’s, the green light was flashed in 2000 to forget about the off-shore runway in deference to the coral reefs, and build a new 2,000-meter-long runway on shore. The new airport runway is 500 meters longer than the existing airport runway, and will be 45 meters wide to accommodate larger aircraft. Officials anticipate the new airport will facilitate increased tourism traffic with the larger and longer runway. Okinawa’s Vice Governor, Kanetoshi Yoseda, says it will be the most frequently used regional airport in Japan, and will contribute to development of the island.